Maybe you are one of those people that like to watch a video rather than read. I've done a video with Robert from Landingi explaining these trends in the video below. We love entertainment, stories, and our mobile Internet bandwidth is getting faster. It's no surprise that video ad is getting more and more popular online. 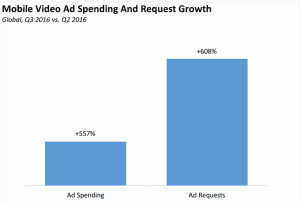 Video ad spending grew +557% sequentially from Q2 2016 to Q3 2016, according to a recent report by Smaato. This is crazy guys, +557%. So, start making videos of your products and services before it’s too late. Video doesn’t need to be hard, just make sure that you are using real stories (personal stories if possible), and that you are putting that little human touch into it. Here are a few easy useful tips for leveraging video marketing. Use Facebook Live to make announcements, do webinars, and for blogging. Make short demo-videos of your products and services. Use Snapchat for daily tips - especially when you are attending conferences. Build compelling pre-roll ads on Youtube. This combined with remarketing can increase conversions for prospecting for sales leads. Important: Before you even touch video, make sure you have the right message to match your market. According to a study carried out by Ninthdecimal, retailers who use different devices to connect with consumers experience higher rates of engagement and visits to their stores than those focusing on one device alone, such as just sticking with the traditional desktop computer, for example. We already own multiple devices; we have iPhones, work and personal laptops, tablets, and even smart TVs. We might even have smartwatches if we are geeky enough. Luckily, we can leverage Facebook and Google’s technology to remarket to all of our audience on different devices. Start building remarketing campaigns on Facebook, Youtube, and Google. Be present on each of your audience’s devices and help guide the conversion. One great tool for that is SilverPush. When a cookie is placed onto your computer by an ad using SilverPush, an “audio beacon” is also emitted that can be detected by mobile devices in the vicinity that is also running SilverPush software. They are therefore able to recognize that the same person owns these two devices. In an interview with TechCrunch, the CEO of SilverPush, Hitesh Chawla, explained that the biggest obstacle for this technology was distance. When they overcame it, they were able to achieve a more accurate understanding of their customers’ cross-device behavior and to offer valuable data to marketing and tech companies, which are extremely keen of identifying and tracking their customers across multiple devices. In this way, they can tailor their advertising campaigns to their target audiences more effectively. 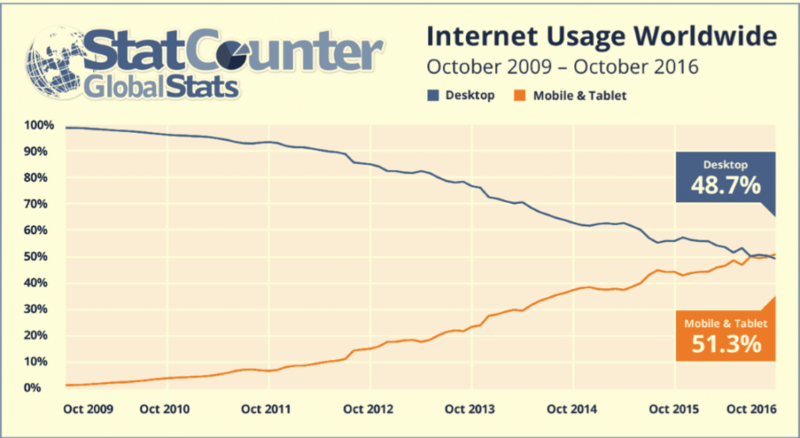 Last year in Q4, mobile and tablet surpassed desktop Internet users worldwide. 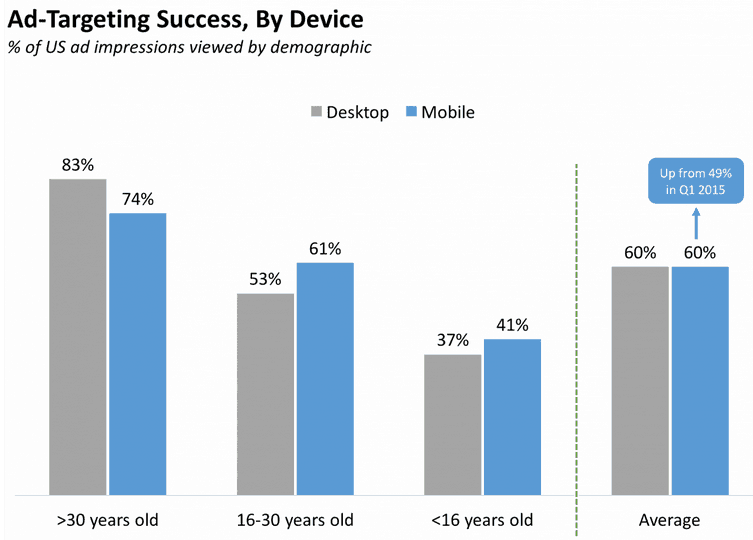 The percentage of ad impression is the same on mobile devices as it is on desktop. If your website is not responsive yet, stop reading this, get yourself a web developer fast, and ask him/her to optimize your mobile website. If you don't have a responsive website you are for sure not following b2b lead nurturing best practices. There’s no more doubt about it. You need to have a responsive website with an excellent UX. Google is rolling out AMP and if you don’t have an optimized mobile website soon, you will be losing a lot of Google rankings. 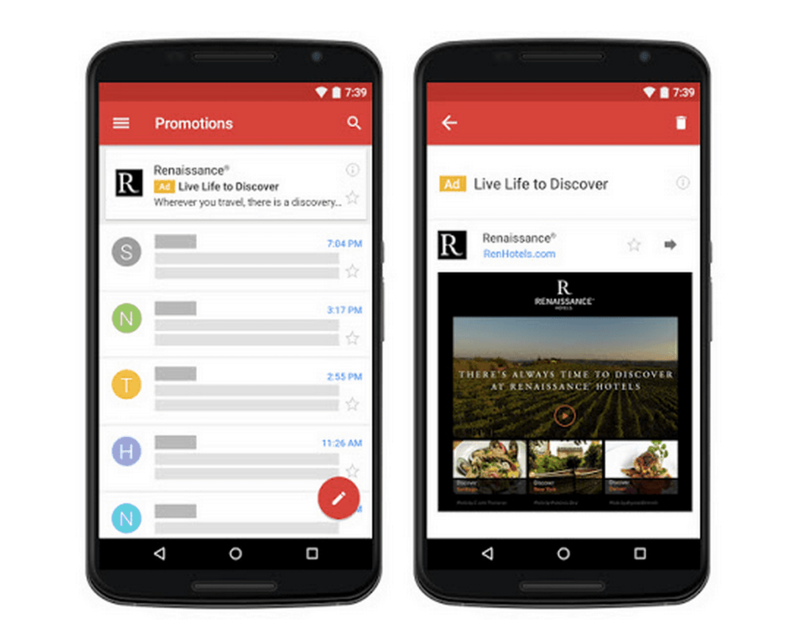 Assuming you have an optimized mobile website, create mobile ad campaigns for all of your advertising efforts and leverage the usage on mobile. 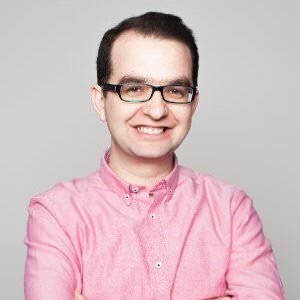 Personalisation drives brand loyalty and all of us should pay close attention to what Spotify or Netflix are doing in terms of personalising the experience we have on their apps. 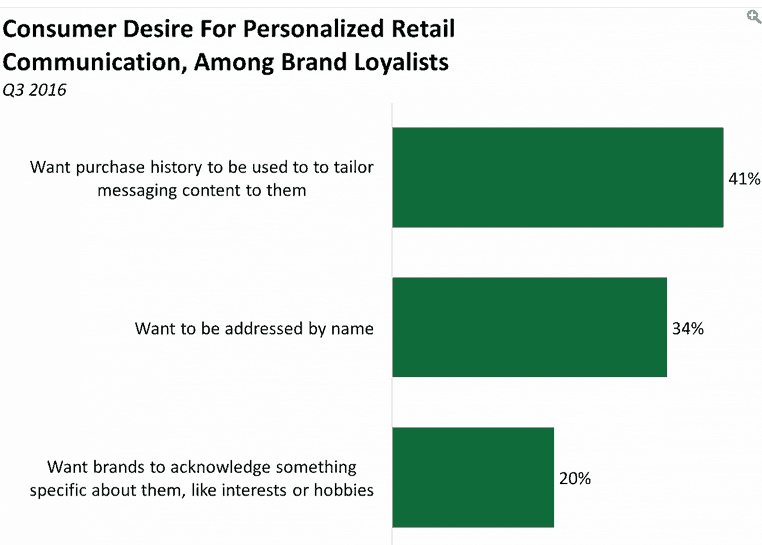 31% of people consider themselves to be brand loyalists, with 41% of these stating that they would be happy for retailers to use their purchase history to personalise the content sent to them. But according to a study carried out by Boston Retail Partners, retailers are still not attending to these consumer preferences. Use tools like Omniconvert to survey your customers and build personalised content for them for the next time they come onto your website. Landingi.com created different landing pages for their clients according to who their audience is. When they were using a simple general landing page for the whole audience group, their conversion rate was a mere 8%. But when they started to use personalised landing pages according to who was visiting them, the conversion rate skyrocketed to 31.4%. 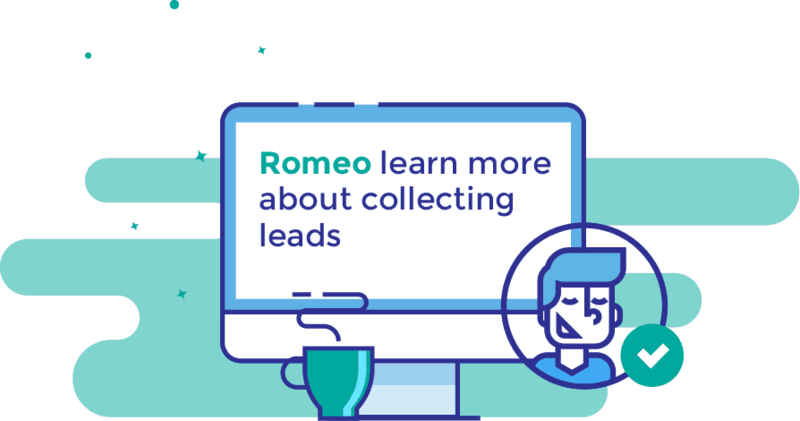 Add your customer avatar’s influencer and if you have the name of your lead/customer, add it to the landing page and get a conversion rate of up to 57%, the same as what Landingi got when they used this strategy. 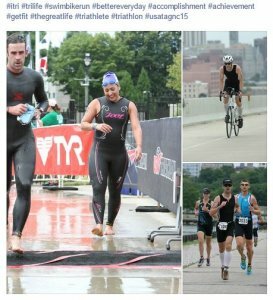 2 years back, I was working in a very niche market - the triathlon market at triathlonresearch.org. Its founder Sam was in the US army; he was a triathlon hobbyist, so he was not an expert in the field. He succeeded in this very niche market by working with the best, because the competition was very low, and because he made his mission to understand the pain and passion of triathlete wannabes. Sam was always eager to learn more about his niche market. He was going to all kinds of triathlon events, participating himself in training sessions and even racing. By doing that, he was able to not only understand but also experience the pain of his market. Triathlon racing is a powerful demonstration of our humanity - our courage, our fears, our doubts, and our joy, all wrapped into one intense experience. He knew all too well that he was able to speak their language through all the stories, ad copy, and webinars he was conducting. Again, he was not a triathlete. He just understood the power of niche marketing and dominated that market for a while. If you try to target all markets you will be in big trouble with business development lead generation, because you’ll find yourself surrounded by a load of competition and it will be hard to showcase your unique value proposition. Start talking to one group of your audience and be specific about their needs and desires so that you can attend to them with your product and services.A rule of thumb is to start narrow and then grow wider. Less competitive - a small market means less competition. Carrying out good research across a small market makes it easier to find out the strengths and weaknesses of your competition and makes your product or service better. More affordable - you won’t be spending money on a broad target group, so you won’t waste money on advertising. Customers are more loyal - you will be able to nurture, teach, and understand them much better. Audience is easier to target - you know where they hang out and what their interests are, which makes it easier to target and offer them your solution. Focused - trying to offer different services for each market can be inefficient, whereas having one nice one will help you to be much more efficient and focused on one single market. This is a big one and the main topic of our guide. So what are the b2b lead generation best practices? We’ll touch more on this in the prospecting and outreaching section of our guide. Nevertheless, building a list and segmenting it is crucial for your business, as you want to speak with as many people as possible. Quora and Reddit - One of my favorites is to go out and find the questions that my audience is asking. Guest posting - You might find this odd, but writing on blogs where your audience hangs out can bring new free leads to your business. This way, all of your web page visitors will be considered as LinkedIn profile views. Now you can start sending them sales follow-up emails. We’ll talk more about how and what emails you should be sending in blog post. 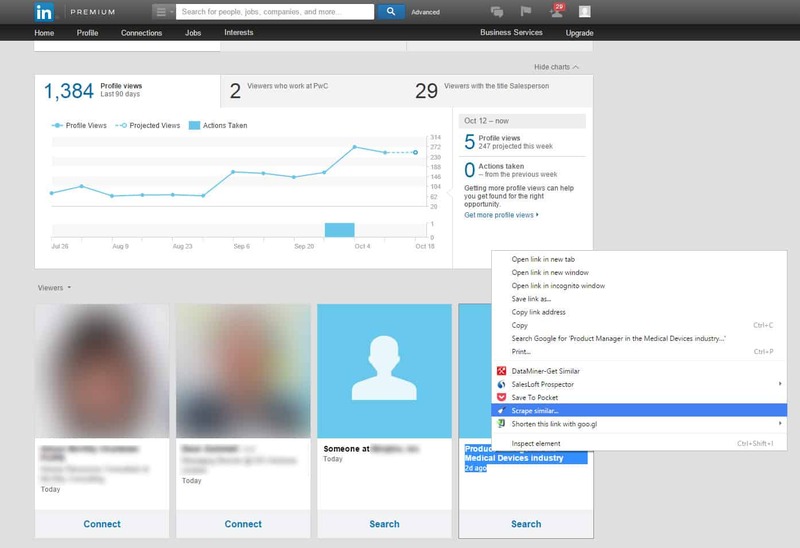 Use LeadFuze to prospect on LinkedIn. Here is a short tutorial on how to use LeadFuze. An awesome thing is that you can get up to 4,000 leads if you are using F6S.com’s offer. Check it out here. Export your LinkedIn contacts, upload them as a Facebook audience, and start running Facebook lead ads to your free giveaway, offer, ebook, or just invite them to your webinar (if you're running one). PRO Tip: Use UTM tags when you share links on all of these sources so that you can find out which is your best lead source. Influencer marketing is word of mouth and it is used a lot in e-commerce. Below you have an interesting survey. 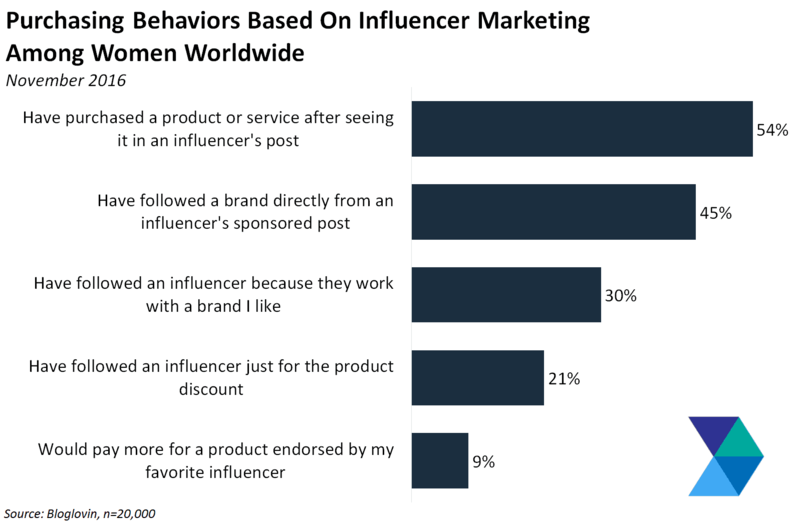 54% of women around the world have purchased a product or service after seeing it in an influencer's post, according to a survey by Bloglovin. B2B can benefit a lot from influencer marketing, here’s how. Every week I listen to Mixergy, and a few other podcasts and they influence my buying decisions on marketing tools and courses. Why? Because the quality of the content is very good and I know they don’t recommend rubbish. I understood this and built my business with the help of local influencers. I partnered with local businesses, investors, and authorities that helped me grow my business. Attend meetups, TED talks, and conferences run by influencers and engage with them; don’t sell anything at first, just buy what they sell and be their client, to begin with. Networking with influencers on a F2F basis is key, but if you are just selling and not bringing any value to the relationship, you will not succeed. 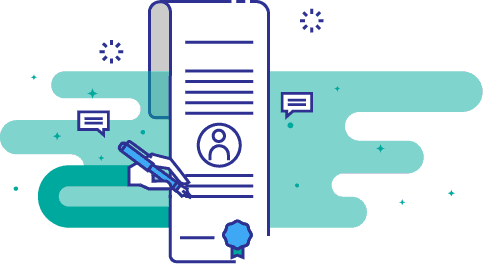 Partner with investors, and ask them if they need help in your niche in exchange for putting you in contact with other companies or investors if you do a good job. Guest posting and review posts: I mentioned this in the lead generation section too and it is very valid here as well. Reach out to bloggers and media where your audience is hanging out and write how-tos, and about strategies and the benefits of using your niche product or service. Sponsor review posts about your product the same way e-commerce businesses do, do pro bono services or offer your tool as a giveaway in exchange for a review on an influencer’s blog or community. Identify rising star bloggers (not yet influencers) and ask them to interview you and share your story. I did this here. All these strategies are worth testing in any niche, B2B or B2C. Just be where these influencers are online and offline, add value, don’t be salesy, and remember to buy first, before you sell. It is very clear that video on mobile will be the biggest trend this year: Facebook Live, YouTube, and Periscope videos will grow a lot over this coming year. So go and get your content ready for video. Now, if you do this well and ensure that your content strategy involves getting across all devices at the right time, as well as choosing your niche market to work in, you’ll definitely be way ahead of your competition in saas content marketing and you'll be converting more leads into customers. Here you'll learn a more about B2B marketing automation so that you can build marketing funnels and save 80% of your digital marketing efforts. I am sure you'll enjoy the leads flow on autopilot, jump into this blog post now.